~~> How exciting! These beautiful mommies are pregnant and need YOUR care and love! 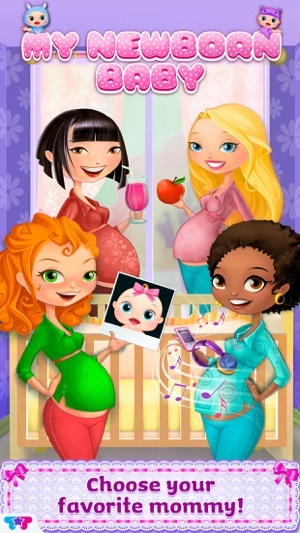 ~~> Join these mommies-to-be on their journey from pregnancy to parenthood! ~~> Enjoy over 8 interactive activities! Give Mommy an ultrasound, decorate the nursery, dress up your baby and so much more! There's nothing like a mother's love for her newborn baby! Help these soon to be mommies relax during this exciting time in their lives. Spoil them with special treats and visit the doctor for regular check-ups. CONGRATULATIONS! 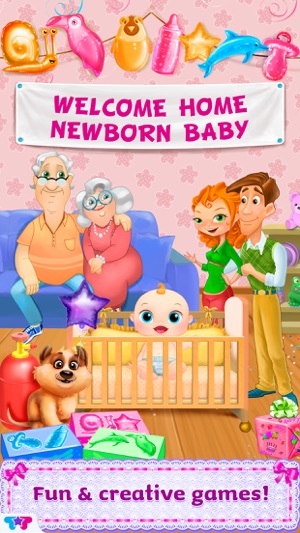 It’s time to welcome your precious newborn with a memorable party! Change diapers, feed your baby and give her a warm bath! You can even dress up your baby in adorable clothing and accessories. Every activity is a chance to love and pamper your beautiful mommy and newborn baby. > Choose from 4 mommy characters. > Use the ultrasound tool to find out if your baby is a boy or girl. > Give expectant mommies medical care and spa treatments . > Decorate your baby's nursery just as you like! > Knit your baby handmade outfits. > Change, feed, bathe, play with and LOVE your newborn baby! So here's what I don't like. I don't like how the baby is always a boy. That's kind ove sexist because usually little girls play and they normally want girls. Also you have to wait for the mom to have a thought bubble to go to the next level (you could just go home and switch there)but other than that the game is good. Okay so I think this game is Annoying because all the baby’s are BOYS!! 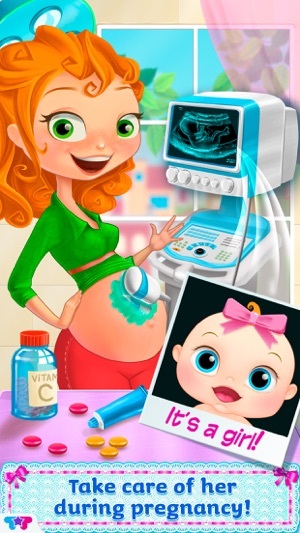 And because I think kids like under 7 SHOULD NOT play this game they don’t need to know about pregnancy! !